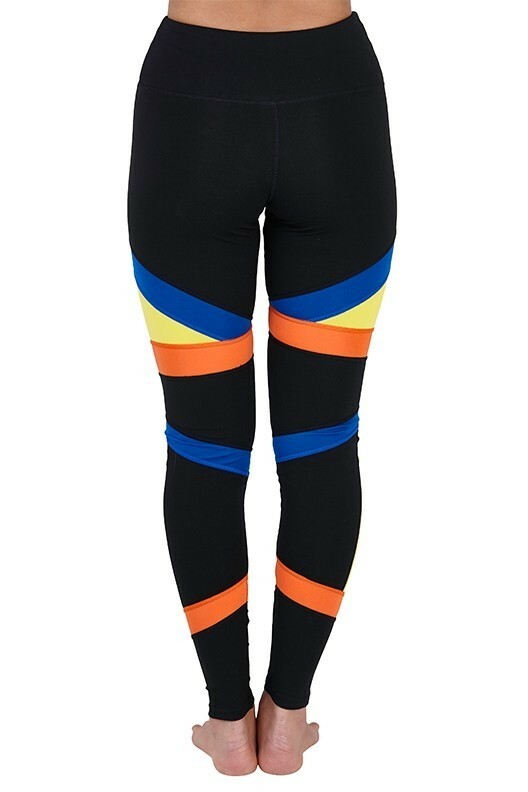 Colour block 3 panel sports leggings - yellow, blue and coral. 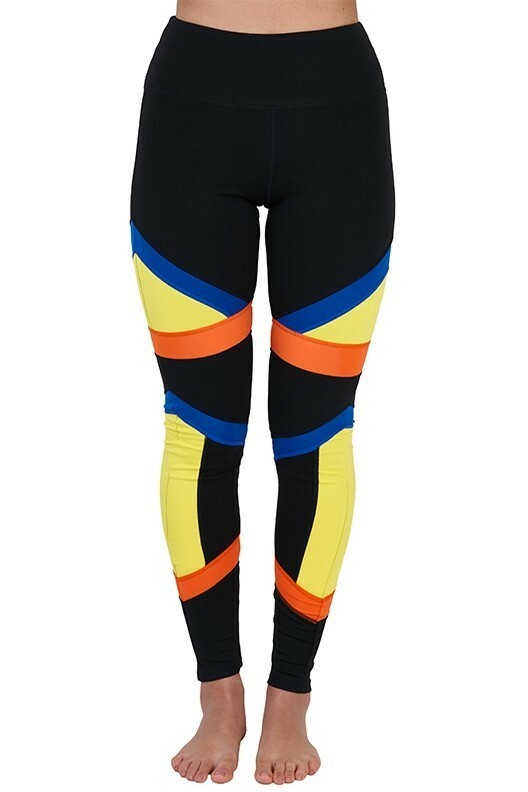 Colour block 3 panel sports leggings - yellow, blue and coral. 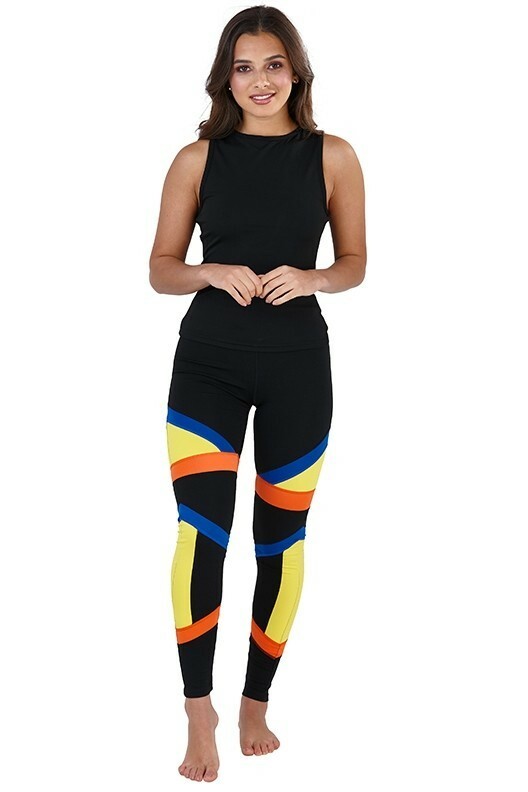 This super stylish design is extremely flattering. Model wears XS | 5"6 tall, 32" B Bust, 25" waist, size 6-8 dress size. Made from 95% polyester and 5% spandex knitting.